PRODUCT DESCRIPTION: Deadline is a grey liquid, mud like material which can be squeezed out. 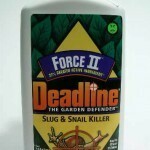 WHERE TO USE IT: Outside around plants you want to protect and to draw a line slugs will not cross. 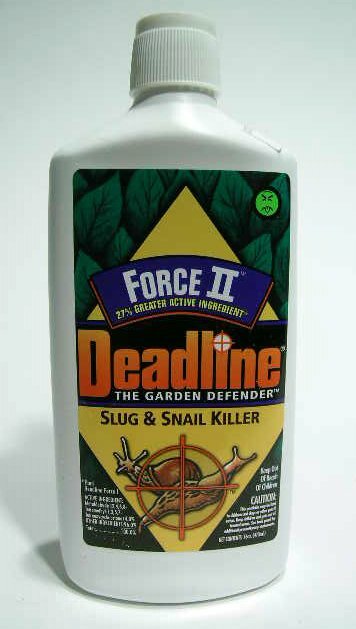 Great for keeping them out of garden areas. RATE OF APPLICATION: Enough to create a band around any plant you want to protect. Simply squeeze enough out to draw a circle that you can see. It comes with it's own applicator tip so all you have to do is squeeze the container and it will flow out like lighter fluid.